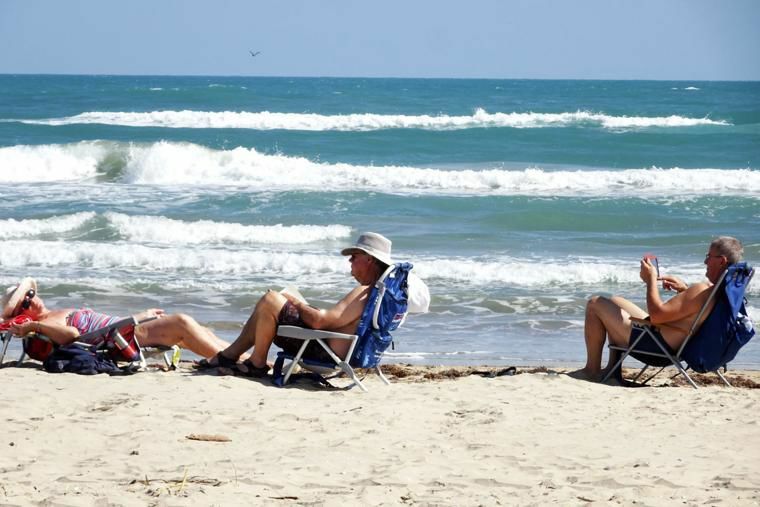 SOUTH PADRE ISLAND — The city wants the community to weigh in on whether it should implement paid parking for beachgoers. The idea got mixed reviews this past week when more than 70 people were given a look at the city’s proposed Beach User Fee Plan. The informal open house provided information on pricing and revenue projections, and residents were able to view street maps and software tutorials. Additionally, she believes the plan could help control traffic, and she likes that there is an electronic option to pay to park rather than needing to insert coins. However, the majority of attendees voted against the proposal. Lynn and Mark Nichols moved to the Island from Denver about three months ago. They believe the city should not implement the fee plan. “Why should we be taxed if we live here, especially on the bayside, and we want to park on the ocean side to use the beach?” Mark asked. City of South Padre Island Shoreline Director Brandon Hill said the decision to move forward or not with the plan is going to depend very strongly on the input from the community. According to the Beach User Fee Plan, the city proposes to initiate an internet-based paid parking system. If the plan is approved, more than 800 paid parking spaces will be located at beach accesses, all public parking spaces on Gulf Boulevard and all public parking within right-of-way on improved side streets. The city plans to require paid parking in the proposed areas 356 days a year from 8 a.m. to 8 p.m. Mobile payment for the parking platform will allow motorists to pay for parking via an app or online, using credit and debit cards or PayPal, among other options. The parking fee is $2 an hour. The city also plans to create a $150 annual pass that would be available for pickup at City Hall during the week and at the Visitor’s Center and the police station during weekends. The city plans to provide veterans and military members a 50 percent off discount to the annual pass. People with disabilities are exempt from the payment of any fees if the vehicle is displaying an appropriate license plate or disabled parking placard. According to the Beach User Fee draft, the estimated net revenue to be generated from the parking program in its first year is $680,243. All of the money received from the Beach User Fee can only be utilized for beach access improvements, such as fixing beach access restrooms, walkovers or parking lots and hiring more lifeguards or more people to clean the beach. It’s a committee level decision whether to move forward with the plan or not. According to Hill, after community input is gathered and presented to the Shoreline Task Force, the committee will be able to make recommendations, address changes or say that the plan isn’t something that they’re interested in moving forward with. Ultimately, the city council will decide whether or not to submit the plan to the Texas General Land Office, where it will be an amendment to an existing plan. The General Land Office then publishes the plan in its entirety in the Texas Register, where it’s in place for several weeks, giving the opportunity for public feedback to go to the state. If the General Land Office gives the city permission to proceed, then the plan would be accepted into the Texas Administrative Code and would become an official plan that can be acted upon by the city.